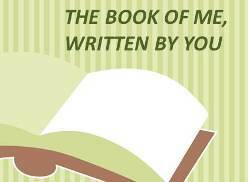 As I mentioned earlier in the day, I am participating in The Book Of Me, Written By You project created by Julie Goucher of the blog, Anglers Rest. Ask yourself 20 times "Who are you?" Each time you should give yourself a different answer. If you can go easily beyond 20 answers that is okay too. This is the sort of prompt that you can re-do at various stages of your life, perhaps after some changes or at the start of the New Year. This prompt is about how YOU see YOU. I am someone who is starting to believe I am enough. I am at the starting point for the rest of my life. I am learning that being an introvert is okay. I am sipping on the joy of the quiet moments with my children. I am thankful I still have dreams and aspirations. I am hopeful and engaged in life.